Happy Friday, Happy Valley... and welcome to the unofficial start of summer! It’s Memorial Day weekend, and there is a packed schedule of events and observances, including the annual weekend-long celebration and commemoration in Boalsburg. More is happening as well, including music at the State Theatre, and on the beach at Whipple Dam. Or check out some comedy -- Nittany Theatre at the Barn's summer season is under way with Neil Simon's "Rumors." Of course this isn't all that's happening. There is plenty more around the area for you to enjoy and you can find it all on our calendar page. Explore the weekend's events and add your own if it isn't listed. Or see our Bar Tour and Movies pages for more options this weekend or anytime. Fronted by accomplished violinist Carl Ector, The Rotec Group brings Latin, funk, jazz, and pop music -- with originals and unique arrangements on old-school tunes from the 1970s -- to the State Theatre Attic for an 8 p.m. show. 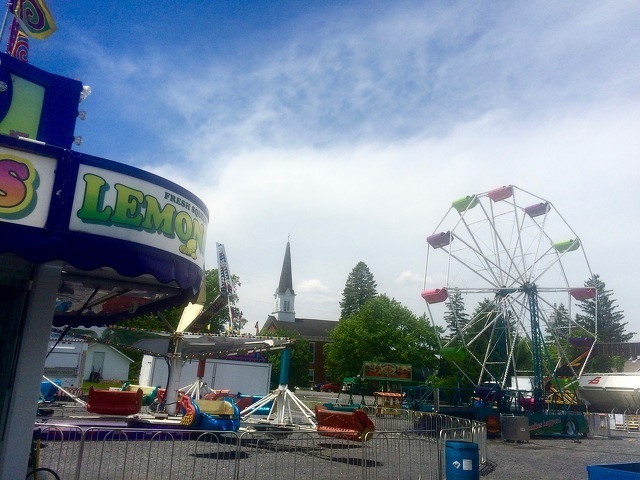 Carnival times are 6-10 p.m. Friday; 6-10 p.m. Saturday; 2-6 p.m. Sunday; and 10 a.m.-4 p.m. on Monday. Nittany Theatre at the Barn in Boalsburg presents its first show of the season, Neil Simon's comedy "Rumors, at 7:30 p.m. on Friday and Saturday. Performances continue through June 2. A Memorial Day weekend tradition since 1980, the 5K and 10K races at Black Moshanon State Park help raise money to support the YMCA of Centre County and the local community. Check-in starts at 7 a.m. under the pavilion at the corner of Concession Road and Black Moshannon Road. 5K starts at 8 a.m. and 10K at 9 a.m. Details and registration info. The Pennsylvania Military Museum hosts living historians encamped on the grounds, portraying field life in the European Theater of Operations in 1944 and 1945. A short history of the war begins at 12:45 p.m., immediately followed by a tactical demonstration against German opposition. The bivouac is open to the public 10 a.m. to 4 p.m. on Saturday and Sunday and Joey Vincent will provide musical entertainment at 2:30 p.m. on Saturday. Welch Community Swimming Pool and Park Forest Community Swimming Pool are scheduled to open for the season, weather permitting, with general swim from noon to 8 p.m.
Join Centre Region Parks and Rec at Circleville Park from noon to 3 p.m. and learn to throw like the pros. The free clinic is an opportunity to check out disc golf and learn some skills from players from the Centre County Disc Golf Association. Recommended minimum age is 8 years old. Lineup is at 3 p.m. and the parade starts at 5 p.m. The carnival will be open after the parade until 10 p.m.
Whipple Dam State Park opens its Music on the Beach summer concert series with Stone Valley Pickers performing from 7 to 9 p.m.
Services honoring those who lost their lives serving the nation will be held around the area on Sunday and Monday. Check here for a partial listing. As part of Memorial Day weekend, Zion Lutheran Church of Boalsburg,105 Old Boalsburg Road, will host a special colonial liturgy with patriotic hymns at 10:15 a.m. Snow Shoe Volunteer Fire Company will host its vehicle mud track races -- with classes for modified, street, outlaw, super street, stock and backwoods beaters -- at noon at the mud track, 256 Rusnack Road in Clarence. Registration is 8 to 11:30 a.m. More info. Boalsburg's Memorial Day observance and events begin with the annual Memorial Day Run, followed by vendors, entertainment, historical demonstrations, carnivals and food. The Boal Mansion grounds will have a number of activities and the Boalsburg Heritage Museum will be open for tours. The day concludes with the traditional walk from the Diamond at 5:45 p.m. to the cemetery, with the memorial service starting at 6 p.m. U.S. Sen. Bob Casey is the featured speaker. See the full details and schedule. The State Theatre presents Dominique Abel and Fiona Gordon's French comedy "Lost in Paris" at 3 p.m. and 7 p.m.
How Does Penn State Football Do Against the Point Spread? Thanks to the recent ruling by the Supreme Court, sports gambling is coming to a city or state near you. 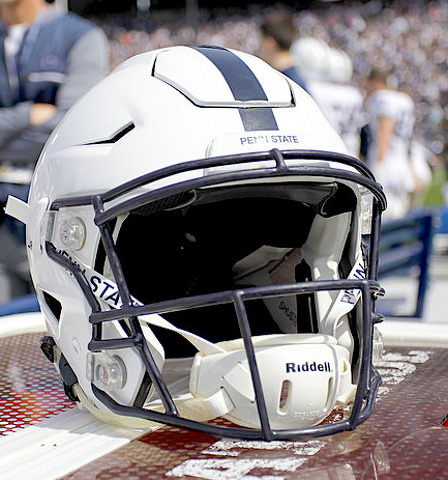 And the odds are, there will be a lot of betting on Penn State football. Over the past two college seasons, PSU has been a good bet against the point spread, to be sure — beating it almost three out of every four games. Call them, then, the Nittany Lines.